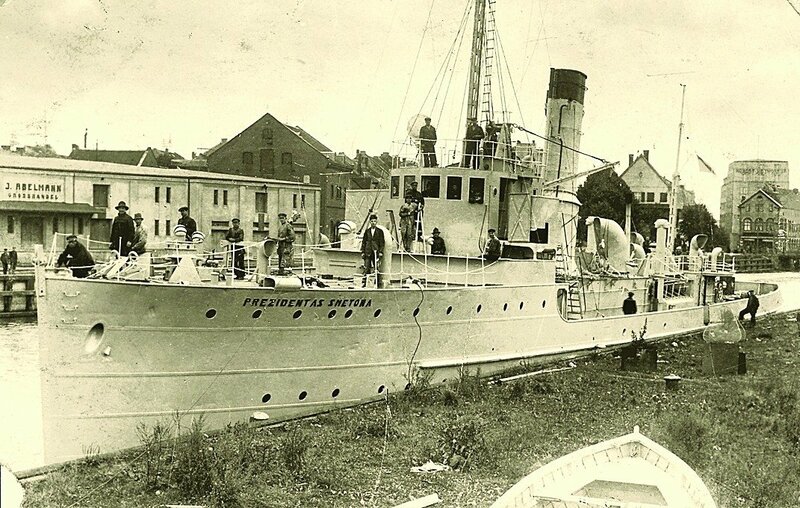 A Lithuanian flag that once flew over the Prezidentas Smetona, the first Lithuanian warship of the interwar period, will be placed on temporary display at the Lithuanian Sea Museum in Klaipėda. The two-meter-long, three-meter-wide tricolor will be handed over to the museum in a ceremony at the Lithuanian Foreign Ministry in Vilnius on Thursday. The flag was preserved by Henry Gaidis, a Lithuanian-American who knew Povilas Labanauskas, the last captain of the ship. This is one of the few (and possibly the only) flags of the interwar Lithuanian Armed Forces that were not seized by the Soviets, the ministry said. The Prezidentas Smetona, which became part of the Soviet Navy after Lithuania was occupied by the Soviet Union, sunk after hitting a mine in the Baltic Sea at the end of World War Two. Its wreckage was last summer found in the Gulf of Finland.